South Africa’s Renewable Energy Independent Power Producer Procurement Programme (REIPPPP) has been lauded as an international success; a global model for public-private partnerships in the renewable energy space. However, this could soon become a distant memory with the latest rounds of Power Purchase Agreements (PPA) still waiting to be signed, and the country’s renewable energy (RE) sector anxiously hanging by this thread. During this period, political uncertainty becomes one of the biggest threats to the industry and the growth of the green economy. While there currently seems to be a feeling of sufficiency with regards to our national power supply, it should be understood that this will not last unless new generation comes online to support demand growth and the decommissioning of old coal plants. We cannot afford to make the same mistakes that were made before the 2006 load shedding episode. We should learn from this, and build new capacity now while there is still sufficient supply to ensure that we do not have to rely on restoring old plants from the coal reserve. The one major positive of the current electricity supply stability is that local municipalities now have space to look at sustainable energy solutions that will provide a reliable and secure supply of electricity into the future. Rapidly increasing Eskom electricity prices and significant decreases in the price of renewable energy, both on a utility and embedded scale, have created a large demand for viable alternative energy sources. The clean energy revolution presents South Africa with an exciting opportunity to tackle numerous issues linked to the universal provision of safe and affordable energy to all citizens. Traditional energy development can be leapfrogged by transitioning directly to more sustainable technologies, while avoiding the dirty energy legacy of most developed countries. To this end, it is encouraging to note that despite misinformed concerns regarding municipalities’ loss of revenue, municipalities are still willing to adapt to the ever-changing energy landscape. The municipalities have realised that 1) photovoltaics (PV) will not destroy their revenue models, 2) embracing it would actually enable them to manage it better, and 3) that it would add considerable value to their communities. In fact, there has been significant movement in the small-scale embedded generation (SSEG) policy and regulation space. To date, 18 municipalities in the Western Cape alone have signed executive resolutions to allow SSEG (<1MW) systems on their networks, with 13 of these municipalities having official tariffs in place that are approved by the National Energy Regulator of South Africa (NERSA). In addition, municipalities are beginning to show interest in purchasing directly from Independent Power Producers (IPP) that may be struggling to sign PPAs with the national utility (Eskom). This could prove to be a useful bridging market to support companies waiting on the continuation of the national REIPPP Programme. The growth of the nascent small-scale embedded generation market in local municipalities is aided by green finance offerings that facilitate the right type of financing into the energy sector. Some current interventions include the 12B and 12J tax incentives; commercial banks’ improved risk appetite for solar PV and other RE projects; the City of Cape Town’s Green Bonds; as well as exciting new investigations into financing mechanisms and products used by foreign governments, such as the Property Assessed Clean Energy (PACE) model and the Pay As You Save® (PAYS®) intervention. 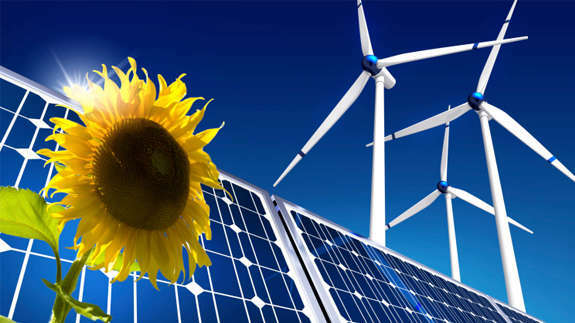 In order to continue to serve South Africans through the green economy, it is crucial that we combine the efforts of the public and private sectors to attract the required direct local and foreign investment into the sector, if not through utility-scale renewables, then through the efforts of the energy services industry.